Tara King (played by Linda Thorson) starts to discover reality. The bad guy has to keep her drugged to maintain the brainwashing. 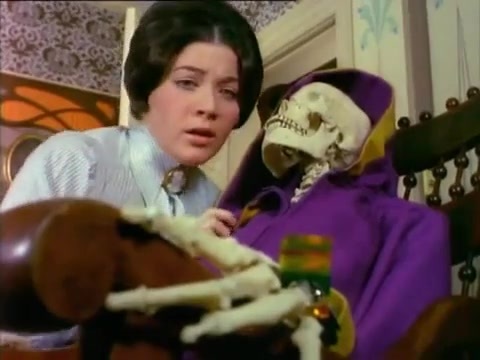 In her second chloroform scene, Tara walks into a room and discovers a skeleton in a rocking chair. This causes her to scream. The bad guy runs in and chloroforms her to sleep.